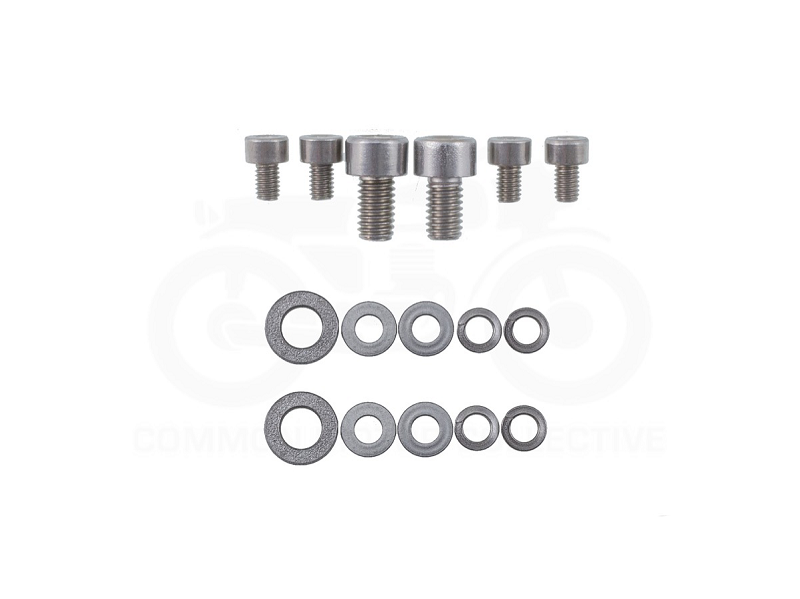 Why You Need This: Make adjusting your timing on your Honda CB350 / CB360 / CB450 even easier with our Allen head mounting screw set for your points and ignition timing plate! Converting to Allen head bolts makes setting the points much easier versus the destroyed screws that are in there. Finish up the job right with some fresh spark plugs and you are ready to ride! *Screws and Washers only. Does not include plate or points. This kit makes adjusting the points almost fun... almost. But it really does make it that much easier to adjust rather than the old style. Get this kit, it's a game changer. This kit is a must-have for anyone with a 350 Honda Twin! The hardware is high quality and the Allen head design really takes all of the frustration out of dealing with those stripped and stubborn JIS screws when setting your points timing. Highly recommend this kit to everyone with a small Honda Twin! I received the order on time and nicely packaged. You folks are great to do business with and love your selections.